I think I’m actually obsessed with this quilting. At first I didn’t even notice that there were two Vs, which makes it even more amazing. (I’m sure there’s more on the top, but of what we can see!) Wow. This is going to be awesome – is it a gift? Thank you! The top was the guide, lest you get too impressed with the angles. It is a gift, and I’m going to wait until it’s received for the full reveal. 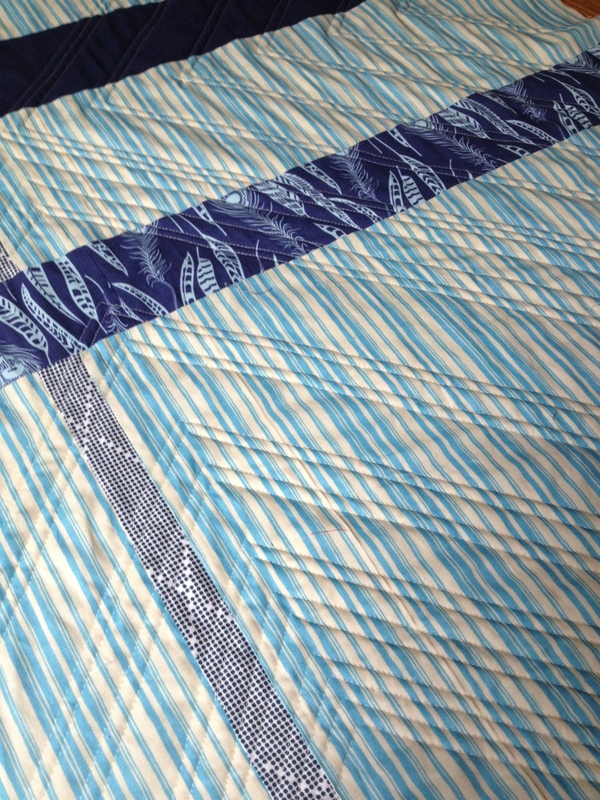 I was inspired by some straight-line quilting on one of Amy’s quilts.